August 24, 2017 – Orlando, FL. Inc. Magazine ranked Engineering & Computer Simulations (ECS) No. 1,998 on its 36th annual Inc. 5000, the most prestigious ranking of the nation’s fastest-growing private companies. Only seven percent of the companies represented have made the list five times, as ECS has. This impressive list represents a unique look at the most successful companies within the American economy’s most dynamic segment—its independent small businesses. Companies such as Microsoft, Dell, Domino’s Pizza, Pandora, Timberland, LinkedIn, Yelp, Zillow, and many other well-known names gained their first national exposure as honorees of the Inc. 5000. Unveiled online at Inc.com, the 2017 Inc. 5000, along with the top 500 featured in the September issue of Inc., is one of the most competitive groups in the list’s history. Companies that made the list, on average, have grown sixfold since 2013, over a period when the economy grew just less than seven percent. The companies on the list collectively generated 619,631 jobs over the past three years. Complete results of the Inc. 5000, including company profiles and an interactive database that can be sorted by industry, region, and other criteria, can be found at www.inc.com/inc5000. The annual Inc. 5000 event honoring all the companies on the list will be held October 10 through 12, in Palm Desert, CA. Speakers include some of the greatest entrepreneurs of the current and past generations, such as Alan Mulally, The Ford Motor Company; Daymond John, Shark Tank; Michael Dubin, Dollar Shave Club; and Norm Brodsky, entrepreneur and Inc. columnist. 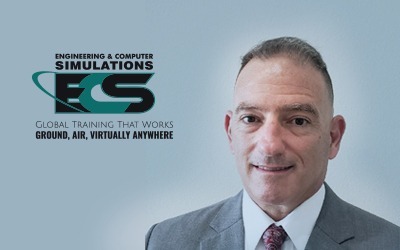 ECS is an industry leader in the simulation-based training industry. It provides training services and advanced learning technology solutions to its clients. 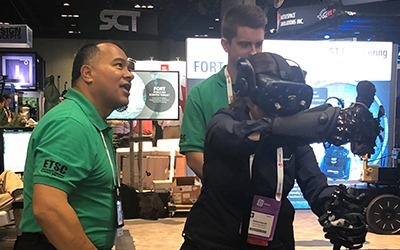 With headquarters in Orlando, Florida, and employees around the world, the company provides global support to the U.S. military, U.S. government, and private industries within essential sectors, including health care, energy, disaster relief, first-responder, education and others. The company has been recognized nationally for its innovative work, and this year has won business awards from Horizon, Ernst and Young, and now Inc. 5000. The 2017 Inc. 5000 is ranked by percentage revenue growth when comparing 2013 to 2016. To qualify, companies must have been founded and generating revenue by March 31, 2013. They had to be U.S.-based, privately held, for profit, and independent—not subsidiaries or divisions of other companies—as of December 31, 2016. (Since then, several companies on the list have gone public or been acquired.) The minimum revenue required for 2013 is $100,000; the minimum for 2016 is $2 million. As always, Inc. reserves the right to decline applicants for subjective reasons. Companies on the Inc. 500 are featured in Inc.’s September issue. They represent the top tier of the Inc. 5000, which can be found at http://www.inc.com/inc5000.